Diapers. Laundry. Sleep deprivation. Daily tedium and moments of bliss. Months of isolation and instant bonds. Neighbors from very different backgrounds are thrown together by a random shared circumstance: they are all new parents. But are the common trials of dirty diapers, spousal expectations, inconsistent medical advice, hovering grandparents, and looming professional obligations enough to actually build lasting friendships? 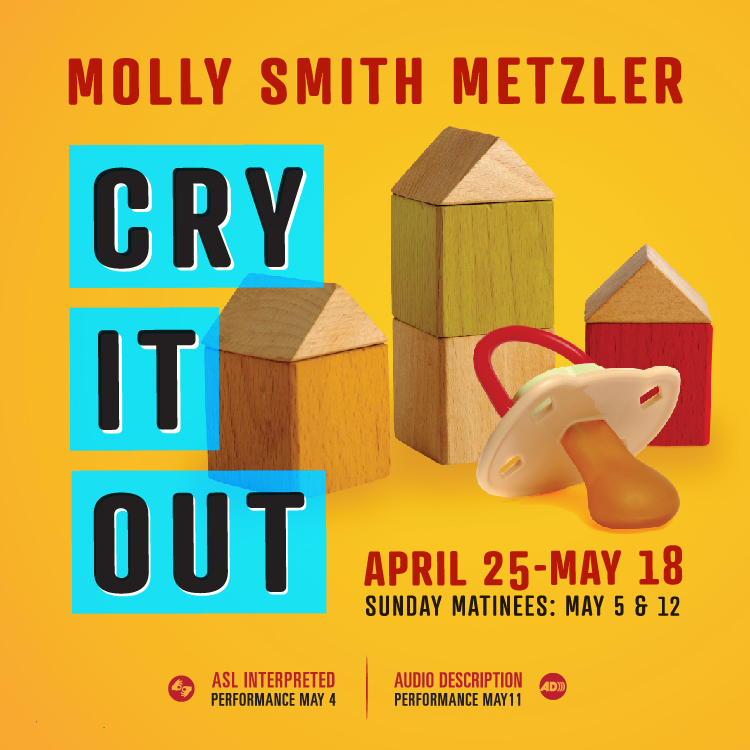 Cry It Out examines the social norms and broad disparities parents experience in the US today. Pay What You Will Pricing Available ONLY during opening weekend April 25, 26 & 27. Tickets during that weekend are between $5 and $50 - it's up to you how much you'd like to pay! Bring a friend, or donate a little extra.